After 15 years at the top of the off-road caravanning world, Lotus Caravans have decided to take their milestone birthday as an opportunity to show caravan enthusiasts a different side to the brand with a more hard-edged, look and feel. Barking Bird has been working behind the scenes on this transformation beginning with the teaser video we launched late last year to announce the arrival of this new brand and their 2019 models. Previously, where the Lotus Caravans brand used a lot of colour and softer language around its vans, the new 15th anniversary range will incorporate more simple yet refined dark colours with a more brash tone of voice to really emphasise the strength and rugged build of the 2019 caravans. 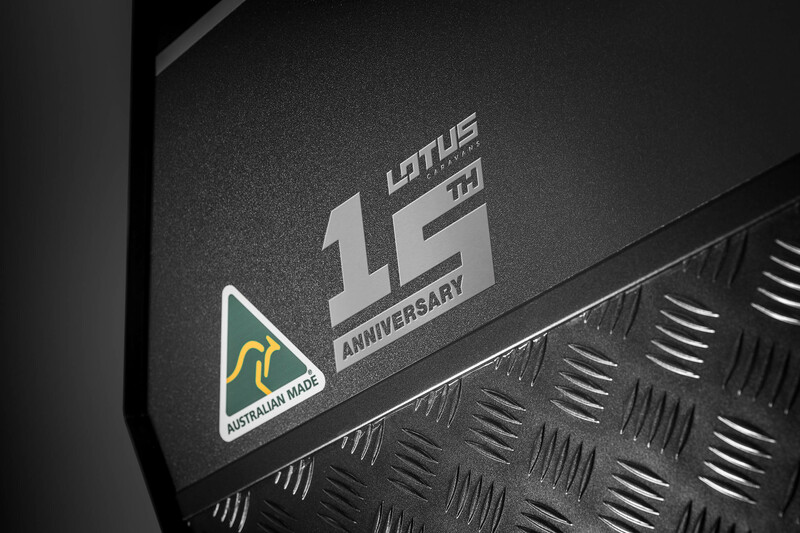 And with the brand’s new slogan, ‘Conquer your path,’ we are challenging customers to explore more of Australia and push the limits of what’s possible in their new Lotus Caravan. Barking Bird are extremely excited about this new creative direction. After working with Lotus Caravans for several years, we are eager to take the brand to new places, which we hope will broaden their appeal across different demographics and build upon their reputation as Australia’s premier off-road caravan manufacturer.